KARACHI, Pakistan — Nusrat Mochi, now 25, left her parents’ home one day to go to work and never returned. Instead of starting a job as a domestic worker, she ran away to begin a new life, against her family’s wishes, with a husband of her choosing rather than the one they had chosen for her. Her parents’ wrath has trailed her ever since. In the four years since she and her husband, Abbas Bhatti, now 27, eloped, they have moved twice to escape threats to their lives, they say. Even today, with two small children, they try to keep the location of their home a secret. If threats were not enough, Ms. Mochi’s parents also brought a legal case charging that Mr. Bhatti had kidnapped her. Their story illustrates the conflicts some women encounter in Pakistan when choosing what are known here as freewill marriages. It also shows how women are increasingly asserting their rights against the traditions of forced marriage and parental authority, implicitly challenging one of the most powerful institutions in Pakistani society. 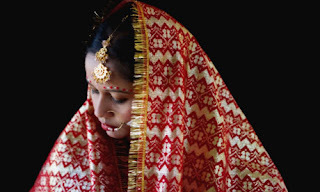 Though some form of arranged marriage remains the most common way for Pakistanis to find spouses, marriage without the consent of a woman’s guardian was legalized in 2003. The change in the law has created a larger opening for many women to claim their independence, using the courts and the local news media. Ms. Mochi’s parents’ suit was defeated in a Karachi court in April. The tactics have given more visibility to a problem long considered largely a private matter. When a woman disagrees with her parents’ choice of husband, she has few options, Ms. Rahman said. If she wants to marry someone else, the two must elope and leave the family home behind. By leaving the home, though, the daughter is considered to have dishonored her family, and that is where culture, custom and the legal system intersect with retribution. Parents frequently press kidnapping charges to regain control of a renegade daughter. Such cases can engulf entire families, as the police will often seize property and detain relatives of the accused man. When they met and fell in love, Ms. Mochi and Mr. Bhatti were neighbors in Gulshan-e-Iqbal, a section of Karachi. The complication was evident from the start. Ms. Mochi had been promised since birth to her father’s cousin, 15 years her senior. Her family refused to end the engagement. Her parents have since moved back to their ancestral home, a village in the Rajanpur district of Punjab Province, and could not be reached for comment. The couple secretly married in a Karachi city court on Aug. 11, 2007, then waited until Mr. Bhatti was able to save money and secure a home for them in another part of the city before making their escape the following year. Ms. Mochi’s father soon began harassing Mr. Bhatti’s father for the return of his daughter or some monetary compensation. Eventually, the family charged Mr. Bhatti with kidnapping for ransom. In court, Ms. Mochi was able to testify that she had not been coerced and could produce the affidavit she had signed on their wedding day declaring that the decision to marry was her own. Such affidavits have become crucial tools in conflicts over freewill marriages. Not only are they produced in court to validate these unions, but they are also presented by women to local Sindhi-language newspapers as “freewill marriage notices,” subverting the traditional concept of the marriage announcement to fend off accusations of abduction and adultery. Most of the cases Ms. Rahman sees come from rural, impoverished areas of Sindh Province, where tribal councils, or jirgas, hold more influence than state courts. For women who have married without the consent of the family or who have refused the spouse picked for them, community justice is often worse than a long court battle. Pakistani newspapers routinely carry articles about couples who faced violence as a result of marrying without their families’ consent. In one recent case, The Express Tribune reported last month that a couple, Almas Khan and Shamim Akhtar, were killed in Chakwal, Punjab, over the weekend of Id al-Fitr, the holiday ending Ramadan. Ms. Akhtar’s father had registered a kidnapping case with the police after the couple eloped. The family contacted their daughter and her husband, saying the pair would be forgiven if they returned. When they complied, they were shot and their bodies strung from a tree. These killings, called karo-kari in Sindhi, are a constant threat for women who enter into freewill marriages. The women are considered dishonorable, or kari, and become the targets of male relatives looking to restore family prestige. The men, too, can be targets. Even when such cases are investigated, the killers often escape prison sentences. Under Islamic criminal law, which applies to murder cases in Pakistan, victims’ heirs or family members are entitled to pardon a perpetrator in exchange for monetary compensation. Since most karo-kari killings are committed by close relatives, there is often pressure to forgive the perpetrator, who then goes free. In its 2011 annual report, the Human Rights Commission of Pakistan, an independent organization, found that, according to news and field reports, at least 943 women were victims of so-called honor killings that year, 219 of them because they wanted to choose a spouse. Such realities did not discourage Ms. Mochi from making her choice. She was, she said, too consumed by anger on the day she left home. 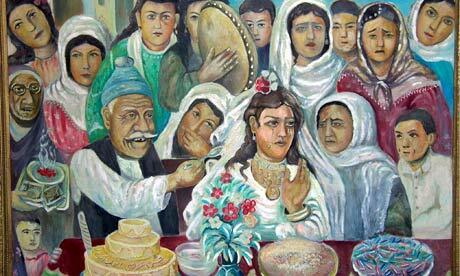 “If they are not allowing me to get married, than I will do it,” she recalled telling herself. Mr. Bhatti is trying to negotiate an end to the feud so the couple can live in peace, but his wife’s family is demanding 200,000 rupees, or $2,110. He earns 200 rupees a day. Still, he says, he and his wife are content. “We are happy with our every decision,” he said.